Architecture is one of those words that is difficult to define. It is the creation of form which evokes emotion through its composition of materials. If one thinks of the architect as artist, then surely glass is a primary color on his palate Glass, and its relationship to light, play an essential role in the way architecture is perceived, and the emotions it provokes. There are two areas that I wish explore further - the evolution of the material and how it is used today. This post addresses the former while the next post will address the latter. Architecture is the container which defines space. The manipulation of the container has evolved over time and has differed between cultures, but there are some commonalities. One aspect of architecture is the play of solids and voids, between walls and apertures. These apertures were originally simply openings, not doors or windows. 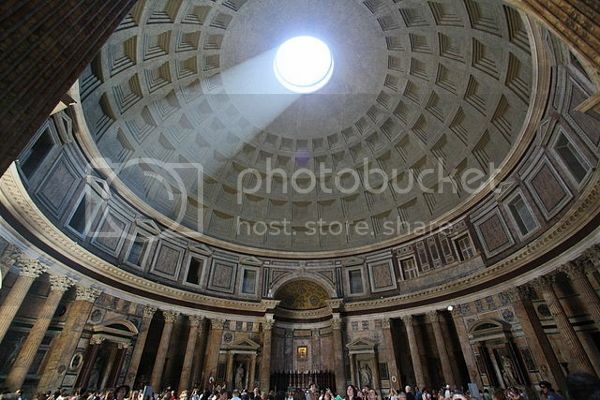 One such example is the Pantheon, which was completed with a magnificent oculus and simple apertures but not windows. There were functional reasons for the openings - to allow users to enter, to allow natural light in, and to permit views out. Glass was used to form various types of vessels as early as the fourth century, but it was several hundred years later that it was introduced into architecture. Art ushered in the use of translucent glass in architecture, in the form of stained glass windows. A new category of artist emerged, called glass painting. These artists used the apertures of the old world's massive cathedrals to highlight their art. The contrast of bright and colorful windows against the dark and drab walls was spectacular, unlike anything the congregants had seen before. The next surge in the use of glass came about in the seventeenth century, this time ushered in by technology rather than art. The invention of translucent plate glass ushered in new opportunities to harness the power of the sun and to control the environment. Botanical societies and wealthy individuals began to build greenhouses. Glass technology combined with advances in iron and the principle of interchangeable parts to allow the advent of this new building type. Both transparent windows and translucent glass blocks were later used in factories. The factory floor could be illuminated much better than through artificial means and could be passively heated during the cold winters, allowing longer hours and greater productivity. Soon other types of buildings were sporting glass as well. The material's versatility was highlighted in the Great Exhibition of 1851. 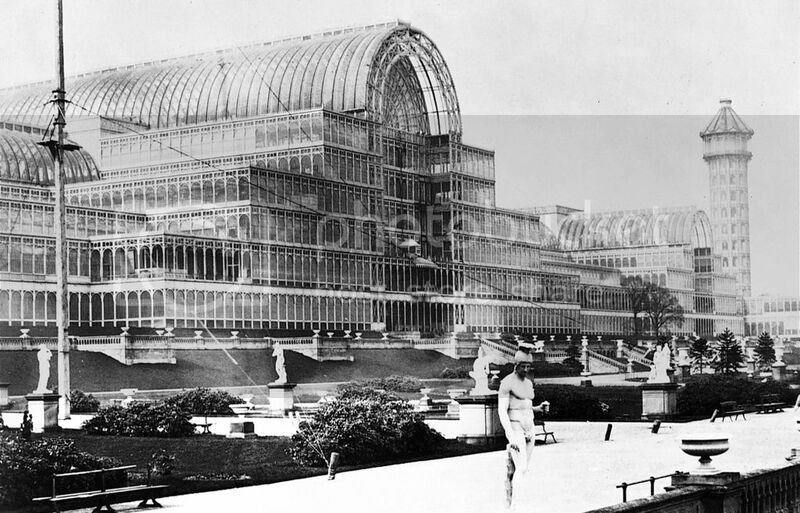 This giant exhibition hall displayed and promoted the industrial revolution which as currently underway throughout the modern world. Traditional architects came to understand the advantages offered with this material, but it was the modern architects that really embraced it and pushed the technology forward. 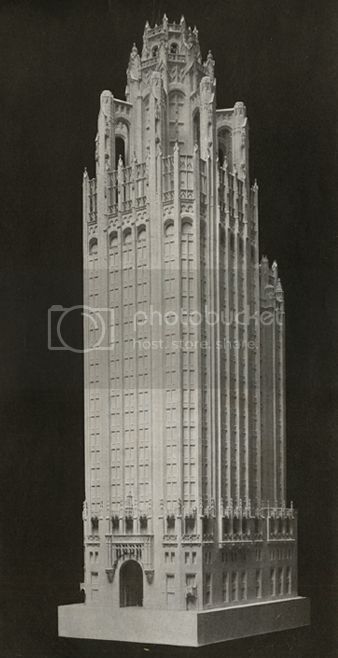 An interesting example of this is the comparison of two early skyscraper designs in 1922. Howells and Hood designed a heavy neo-gothic tower. They made use of many windows, though as punched windows their impact was secondary to the mass, frame, and buttresses. The geometric building, like the classic column, contained a pronounced base, column, and capital. 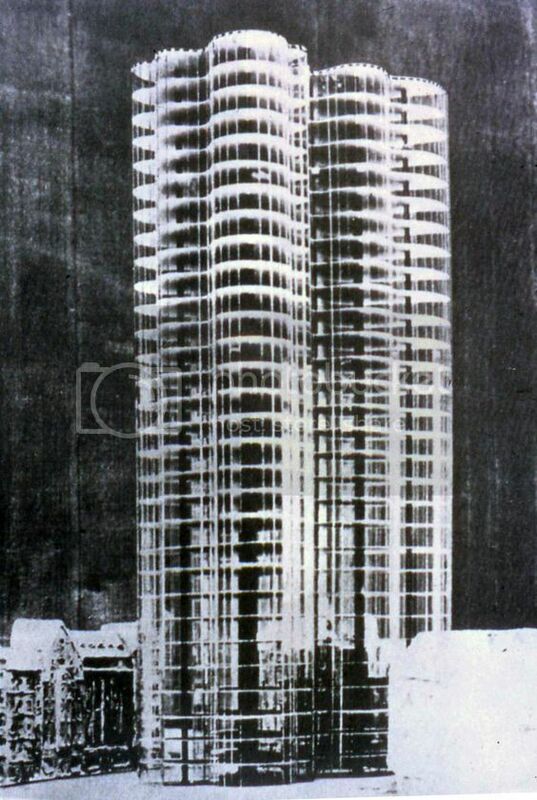 Meis' organic glass skyscraper, proposed for Berlin, was quite different. The skin of the building was nothing but glass. The concept of the curtain wall was evident. The glass was not inserted into openings in the facade, it was the facade, hanging like curtains on the floor plates. Light was allowed deep into the interior of the space and the views were expansive. Both prototypes were further developed by succeeding architects. Glass technology has continued to evolve and improve. Glass has remained a primary material throughout the remainder of the twentieth century and remains so today. We'll continue our exploration of this translucent and transparent building component in the next post ...... Magical Material.